The door opened, and Brooklyn ducked through. The only mascara left on her face was a faint smudge below one of her eyes. That could only mean one thing: she was pregnant. She took an uncertain step toward him. He wrapped her in his arms, but even so, she’d never been further out of his reach. “I can’t do this,” she said against his shoulder. Liar. He couldn’t help her with a baby. That job belonged to Caleb. Yet, he had the sense that the promise answered his prayer. It was God’s direction for how he should proceed. How do You figure I can help her? Robyn stared at them, forehead furrowed. Jake lifted a hand in a wave and turned toward the door. At this point, gossip was unavoidable. The time to worry about appearances was already weeks behind them. He started the engine and navigated to the road. “You’re not alone.” She had God if she wanted him. Or Caleb. He wouldn’t turn his back on his own kid. Then again, Jake hadn’t expected him to make a move on Brooklyn either. He and Caleb had been friends since high school football. That should’ve counted for something. Despite everything, he couldn’t stand to see her cry, so he kept his eyes on the road. News that the baby already took up space was at the edge of his ability to grasp, but a bullet comparison was the most sense she had made all day. A black SUV pulled out of a parking lot, and he slammed the brakes to avoid it. The car slid a couple of inches before the tires gripped. He ground his teeth. Anything he said would betray just how right she was, and she hurt enough without him piling on more wounds. As he parked in his spot behind Hillside, his phone went off. He took it from his pocket and answered. “I think I messed up.” Devin, one of the youth group boys Jake mentored, rarely bothered to introduce himself. This had to be about Lauren, Devin’s girlfriend. Or something could’ve happened with the kid’s alcoholic parents. Or school. Jake took his keys from the ignition but didn’t open his door. Brooklyn sat still and quiet, probably waiting to say good-bye. “Who always buys? I’ll text you when I’m headed over.” Jake pocketed the phone before turning his attention back to Brooklyn. She collected her purse and tugged her coat zipper up to her throat. “I should get to work. I’ll need the time off later in the year.” The door clunked open. She must’ve picked up on his hesitance because she nodded once and got out without another word. You’re a terrible friend, Jake. He couldn’t imagine doing better. Not when the woman he’d hoped to someday marry was carrying someone else’s child. God, what do I do now? I signed up for the subscription service that the pubisher do and recieved and advanced copy of this. All I can say is WOW. Well, the official review I put on Pelican, Goodreads and will do so on Amazon UK once the book is released will be as follows. Amazing. Once I started reading I was hard pressed to put it down. Jake and Brooklyn are amazing characters who live on after the last page is turned. Not to be missed. 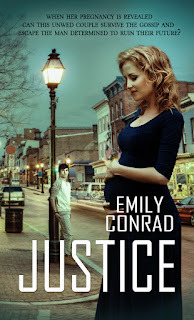 Happy release day, Emily! Thanks for sharing your story with us. I loved "Justice." Congratulations on your long-awaited release Emily! Congratulations, Emily, on your debut novel. Happy release day! Always a thrill for an author. 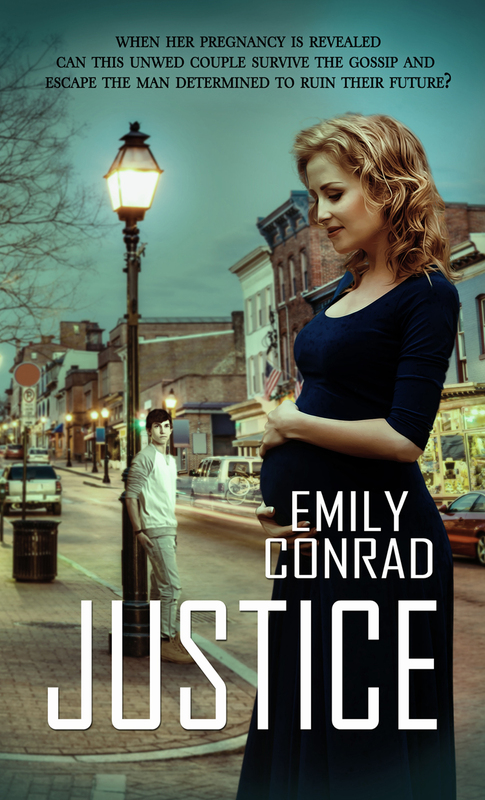 And I was thrilled to see Justice delivered to my Kindle. Barb, I'm so glad you enjoyed Justice! Thank you for taking the time to read it! Thank you for your encouragement, Pam! Carlene and Zoe, thank you! I'm so excited! LoRee, it means so much that you ordered it! I hope you love Jake and Brooklyn's story!! So excited for you, Emily! Thank you, Kelly and Marilyn!